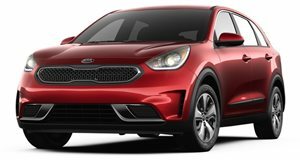 Kia seems to have struck gold with the Niro, a new hybrid crossover. Wait, you aren’t supposed to refer to the Niro as a "hybrid." During a first drive event for the new crossover, held in San Antonio, Texas, Kia product planners, engineers and designers shied away from describing their new car as the "h" word. In their eyes, the Niro is a CUV that gets great gas mileage. If someone cares to ask how it can achieve up to 52 mpg highway, then the talk of how it’s a hybrid will come up. 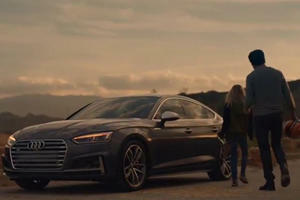 Like it or not, Kia, this is a hybrid. 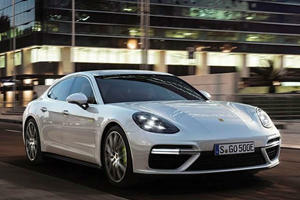 In fact, it’s the automaker's first dedicated hybrid model. After driving it through the San Antonio countryside the difference between the Niro and other hybrids becomes clear. The fact that it's not awful to drive, or to look at for that matter, is how Kia hopes to separate its hybrid from the competition. It’s also how it plans to keep people from seeing the Niro as a car designed solely for eco warriors who are obsessed with saving the world through fewer trips to the pump. Power comes from a 1.6-liter four-cylinder making 103 horsepower. The electric engine provides an additional 43 horsepower. The total output of these two motors is 139 horsepower and 195 lb-ft of torque. Both motors can’t run at full clip together, hence why there isn’t 146 hp on tap. No all-electric driving is offered, although a plug-in model is in the cards and a full electric version seems inevitable. The default driving mode is Eco, and that’s where all the mpg estimates come from. In Eco no manual shifting is available and the throttle is almost criminally unresponsive. The good news is that Sport mode is just a flick away. In Sport, the throttle and six-speed dual-clutch transmission come alive, steering gets heavier and you can manually shift gears. Overall the experience is better than expected, albeit one not worth writing home about. This is still an affordable gas-sipper first, and as such its on-road behavior is a bit of a struggle. The brakes are good but not great and the suspension, while providing a comfortable ride, isn’t able to hang in the corners. Kia estimates that the 3,106-pound Niro scoots from 0-60 mph in 8.5 to 9.0 seconds. The Niro is currently front-wheel drive only and may stay that way indefinitely. Adding all-wheel drive would complicate the car's packaging and drop mpgs via the addition of weight. But the trade-off would be increased handling, something the Niro would greatly benefit from. The good news is that driving in Sport won’t crush your gas mileage. We averaged 40 mpg on a 60-40 split between Eco and Sport mode. Our tester was the top-tier Touring trim, which gets an EPA estimated 40/46/43 mpg. Unlike most cars, the Niro seems easily able to achieve its claimed mileage. Funnily enough, the less money you spend the more efficient the Niro becomes. The base FE trim sells for $23,785 (the Touring starts at $30,545) and returns 52/49/50 mpg. 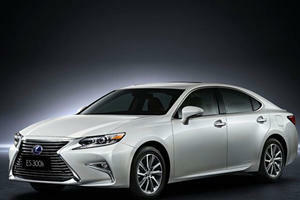 The middle LX/EX trims return 51 mpg highway and start at $24,095 and $26,595, respectively. The goodies between trims vary, with top-tier models getting an 8-inch touchscreen, heated and ventilated front seats, an 8-speaker Harman Kardon sound system - which sounded just OK -and a host of driver’s aids and safety features. These include blind spot monitoring, rear cross traffic alert, radar cruise control and autonomous emergency braking. All trims come with a 7-inch touchscreen infotainment center, Android Auto and Apple CarPlay. Kia expects the lion’s share of sales to come from LX and EX trims. Penny-pincher tightwads will be rewarded with better mpgs and some nice standard features. Although it is branded as a crossover, in the metal the Niro looks more like a jacked-up hatchback, offering 6.5 inches of ground clearance. If you stand six feet or taller you’ll easily tower over it. Kia’s first hybrid has a sleek look that seems to be inspired by one of the many entry-level hatchbacks Europeans love so much. Design highlights include the contoured hood and sinister looking headlights. The cabin is roomy and its design uncluttered. The heated and ventilated front seats are comfortable and the rear seats provide a surprising amount of legroom and headroom, this despite the fact that the battery for the electric motor sits below. The dashboard design is simple and the UVO infotainment system, standard on all trims, is easy to use and navigate. The Niro's interior is functional and its look inoffensive, although it is noisier than expected and there is limited cargo room. There’s 19.4 cubic feet of cargo space with the rear seats up. When folded they free up 54.5 cubic feet of storage. The Niro's design is more mature than the Soul's, although it really only stands out for one thing. This is the first hybrid that doesn't look totally dorky. The top two brands probably won't surprise anyone.